Screen »Xenia«. 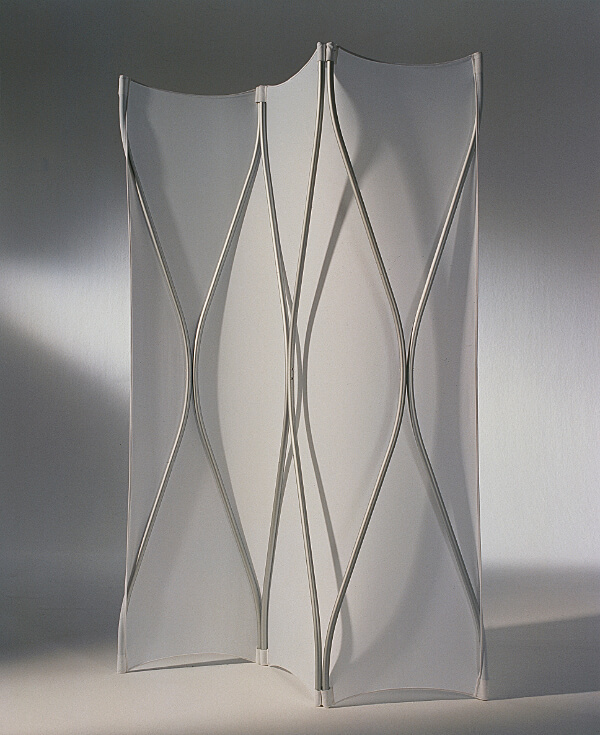 The underlying concept of the »Xenia« folding screen is based on the contrast between aluminium and fabric. 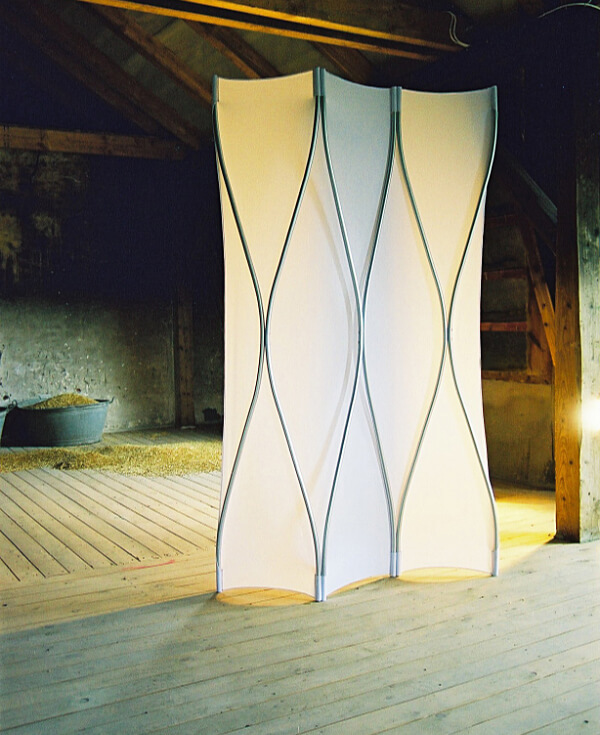 Its mobile lightweight structure is of stunning simplicity.